CLUB PRESIDENT - Matt Gordon has taken over this role from The Don. Matt has rolled up his sleeves since joining our club eight years ago, as he also serves as Chaplain of the Mighty Thurds. Matt has had considerable experience coaching young players and attacks that task with gusto. CW is lucky to have Matt on Board! Matt's experience with communications in his professional life will stand him in good stead as he may need to wend his way through swampy waters! 'onya, Matt. SECRETARY - Tony Watson. Tony is a relative newcomer to CW. (He has now been on Board for some six years - a lifetime in some circles!) He brings both and interest and a skill set that is very valuable to us. Tony serves not only in a capacity that covers all duties associated with his title but and he serves as CW's rep on the VIRU. Further, he has served two terms of office on the BCRU Board, working specifically with the portfolio involving insurance. TREASURER - FOUND! One, Jason Lewis - Bio and mugshot to be posted soon! SENIOR TEAMS MANAGERS - Bill Hutchinson. You want to know about Hutch? CLICK! 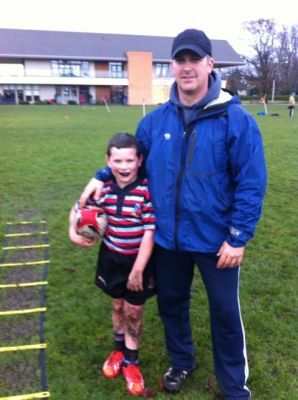 DIRECTOR OF MINI RUGBY- Ed Knaggs. Knaggsy has done it all with CW. From an International forward to coaching Minis for double digits plus years. Ed has taken on this leadership role to enable The Chaplain to fulfill his Presidential duties. You beauty, Knaggsy! DIRECTOR OF JUNIOR BOYS RUGBY - Pierre Iachetti. After a lengthy stint with the whistle with the VIRU, Pierre returns to his playing roots in this capacity with youth. He brings an experienced skill set and just wants to work to make CW Rugby better. Thanks and welcome, Pierre. DIRECTOR OF FEMALE RUGBY - Dave Crossley. "Bing" is a well known former player, having worn the colors of UVic, OB Wanderers and VIRU Crimson Tide. He has become very involved with CW's fairly recent initiative with girls and womens' rugby, being the predominant driver. Dave is also a “do-er” and his word is his work. His p.o.v. has been helpful with other club matters. 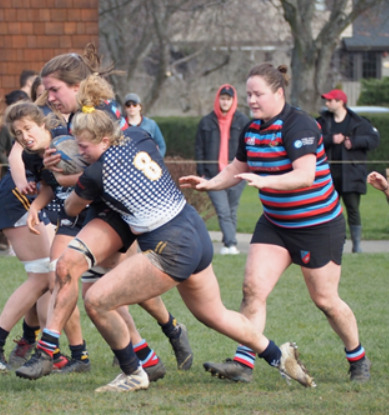 CW is excited about the future of women’s rugby both locally and nationally and we believe its advent with us helps "complete" our club. 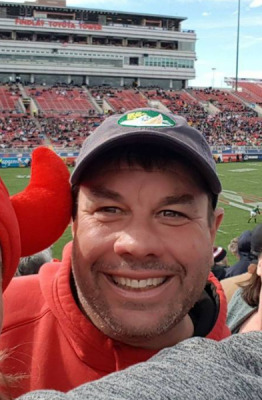 PAST PRESIDENT - Don came to us from Ontario where he coached age grade Provincial teams, being Level II NCCP certified and he was extremely active in his club, Highland RFC. He is a certified referee to boot. He first played for the club in the "year of the merger", 1989, under the wand of King Billy Rees. Don provided a term of office that took the club in many new and exciting directions. A job well done and it ain't over yet as he continues to seek avenues he can lend his shoulder to. The Executive meets monthly, either at a Director's or full Board level. We are always open to ideas, not just ideas but some volunteer time to back them up. CW is a members' club, from eights to eighties.